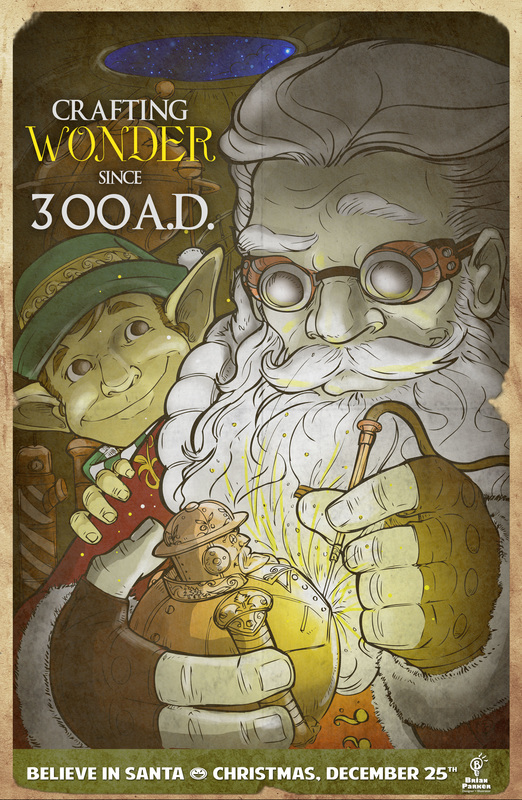 I'm not really surprised that what started out as a weird dream turned into a design/illustration exercise, has now grown into a true tradition. 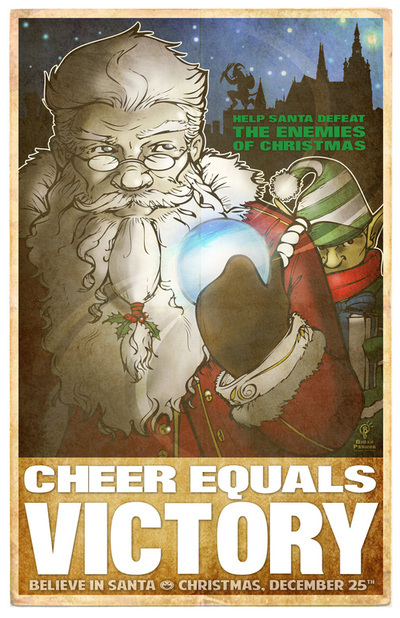 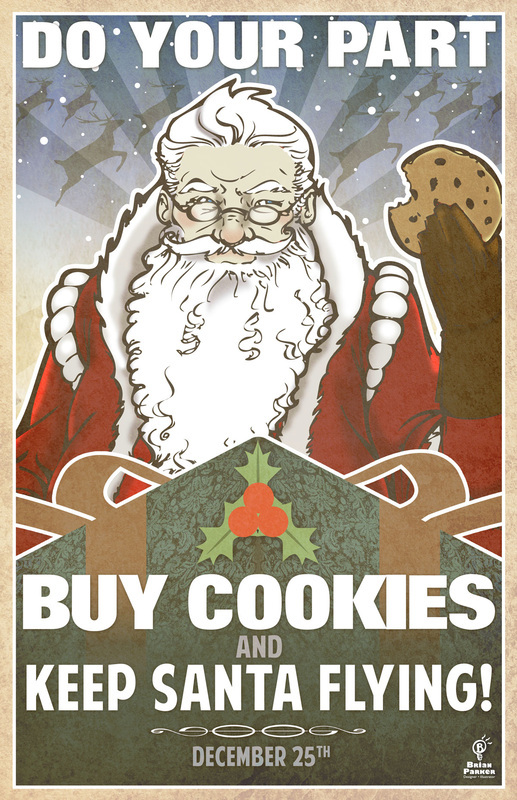 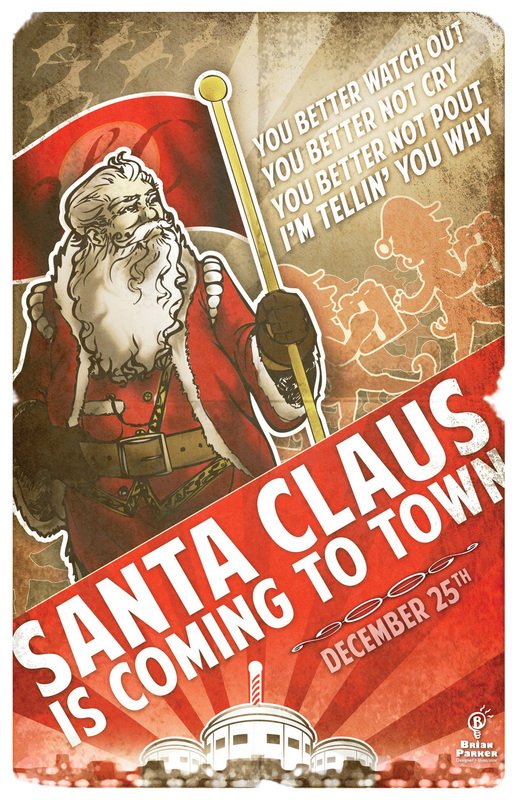 By combining images of one of my favorite, fantastical characters – Ole' Saint Nicholas himself – with the classic design elements of World War II propaganda posters, I have created a little something I like to call The Santa Propaganda Poster. 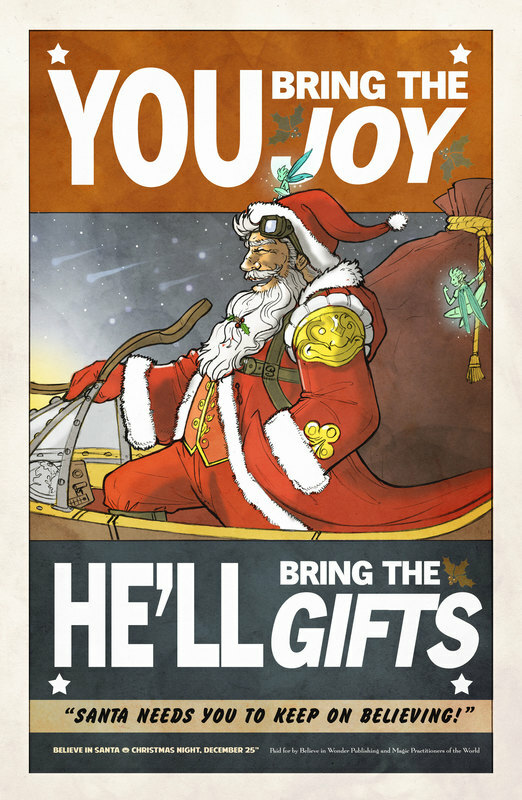 These images are meant to inspire wonder, holiday cheer, and elaborate on the adventuring spirit of the man in red. 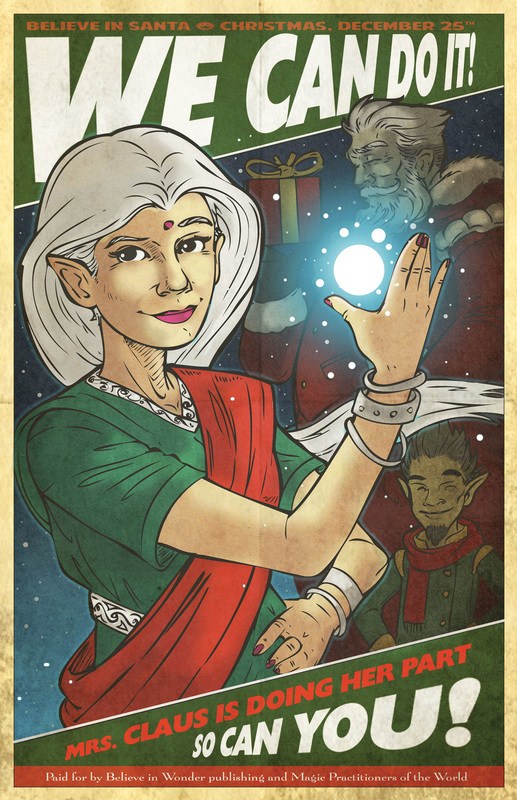 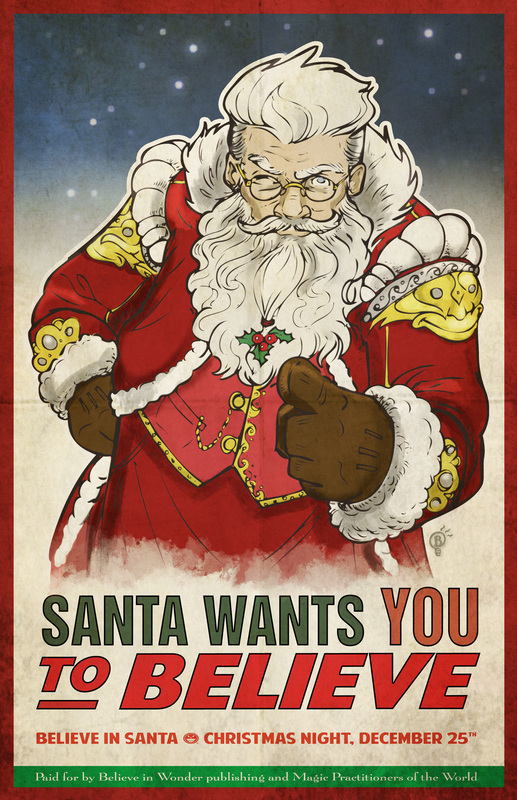 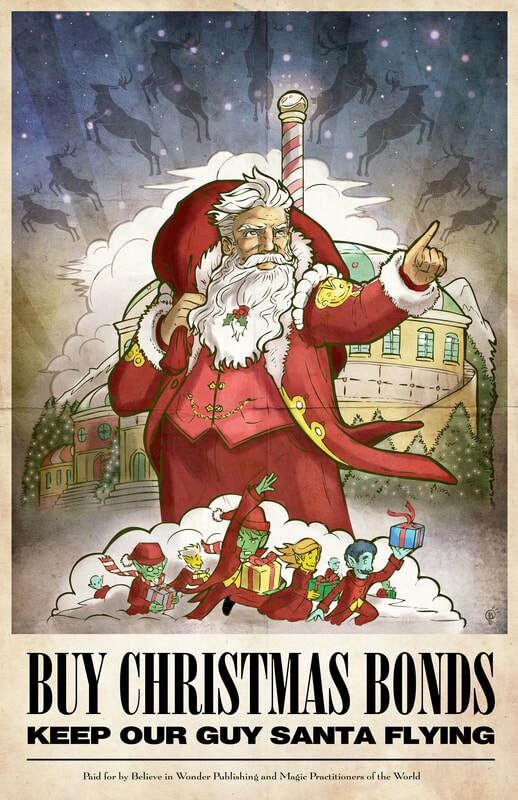 Come be a part of the Santa Propaganda Project!